Wall calendars make excellent marketing tools because they are used and seen every day. 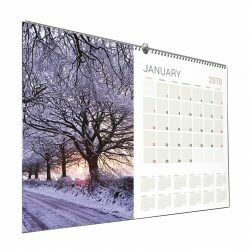 Our wall calendars are printed on 150gsm or 250gsm silk coated stock throughout, with a selection of sizes to choose from. A5, A4, A3, Long or Short edge Binding and 210x210mm Top edge. They can hold 13-14 pages and are bound using standard silver wire along the short or long edge with a hanger. 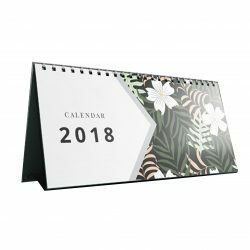 Desk calendars are perfect for keeping organised and keeping your branding in clear sight, desk calendars can make great free marketing gifts. 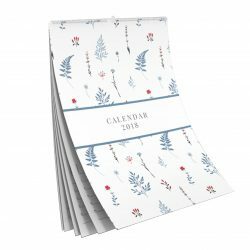 Printed on 150gsm or 250gsm silk coated stock, our desk calendars can hold 13-14 pages and are bound using silver wire along the long edge as standard. 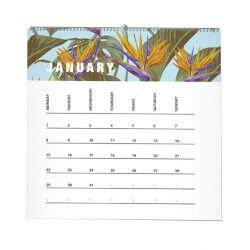 Desk calendars come with a 500mic Box Board Strut and are available in A5 and DL sizes.